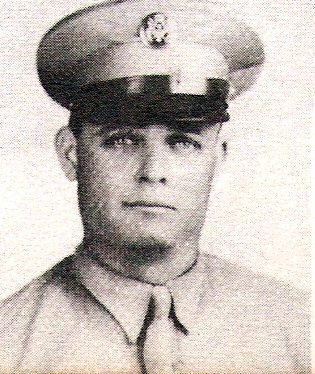 T/3 Thelbert W. Andrews, son of Mr. and Mrs. Sam Andrews, Olney, husband of Velma Gregg. Entered Army, 1943, trained at Ft. Leonard Wood, Mo. Served in Greenland. Awarded GCM, Victory and ETO. Discharged in Dec., 1945.